This is one of the best books available in the market for preparation of Civil Services Preliminary Exam and the Group 1 Services Exam conducted by the State Public Service Commissions. A must have book for every aspirant. All the important topics are covered and the MCQs given in the book are very useful as they cover almost all of the previously asked questions. These MCQs also serve the purpose of self-evaluation for the aspirants. Revised and updated annually by a distinguished team of academic experts. 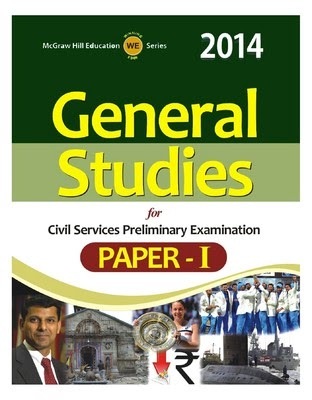 General Studied Paper I from McGraw-Hill Education is eagerly awaited by thousands of aspirants preparing for the civil services preliminary examination. The new pattern and syllabus.